I slightly feel like I've dropped of the face of the e-world due to endless reading on Chinese dynasties and Odysseus. Aye, hashtag the struggle is real. On the flip side, it doesn't help that I've been binge watching Gilmore Girls (umm... where I can I find a Dean? Sign me up please and thank you). So while I finally sit down to write my deepest and most intriguing thoughts, I look out the window and... le sigh. The depths of January are taunting me while I see (via Instagram) people jet off to Tulum and who knows where else. I'll admit it, guys. I've caught the travel bug, but hey, things are looking up on my calendar. In a month, I'll be in Florida for sailing and in two months, my home away from home, St.Barths. Until then, I still have a travel scratch to itch, so at the moment, when can I get on the next plane to Kauai, Hawaii? As this is a judgement free zone (except for my feelings on socks and birks... let's be real), my good friend and I are die-hard Alana Blanchard fans. So after watching endless episodes of Alana Surfer Girl, we happen to planning our next trip to Kauai, the land of surfers. Maybe we can't surf like her- let me dream, but Kauai is available for me, right? Some of the places I wanna go? 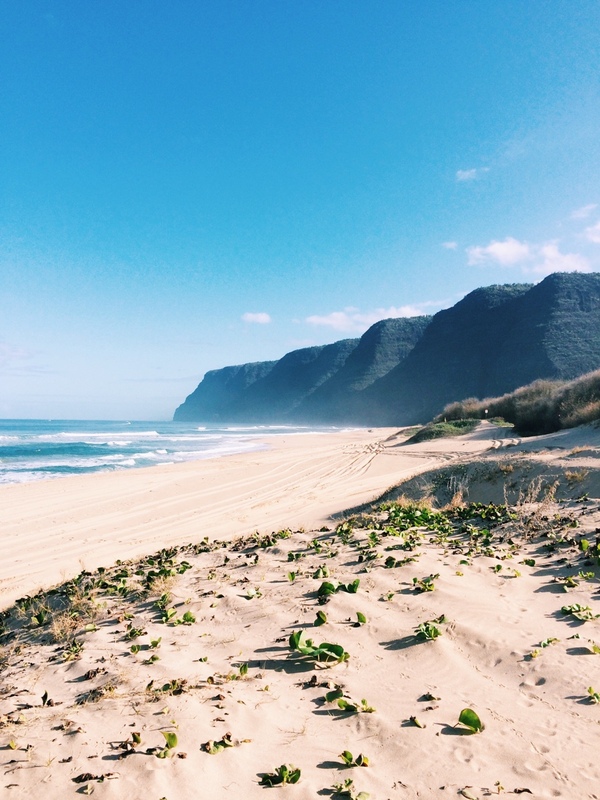 Queen's Bath, Hanalei Bay, The Blue Room, Lumahai Beach, and Na Pali Coast State Park.